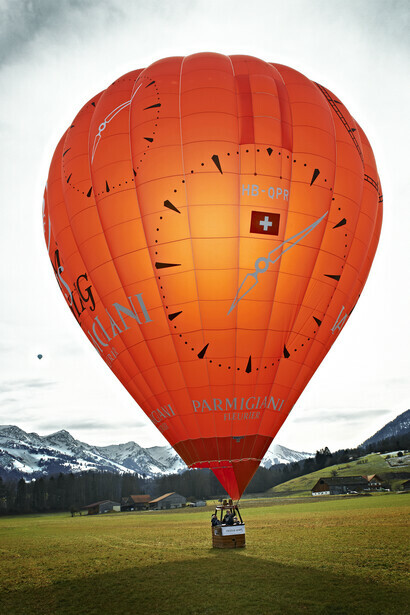 I could not wait to go on this trip and as we arrive in Gstaad and approach one of the most highly anticipated events for European balloonists and aerial sports fans I am filled with excitement as I am about to experience my first ever hot air balloon flight. 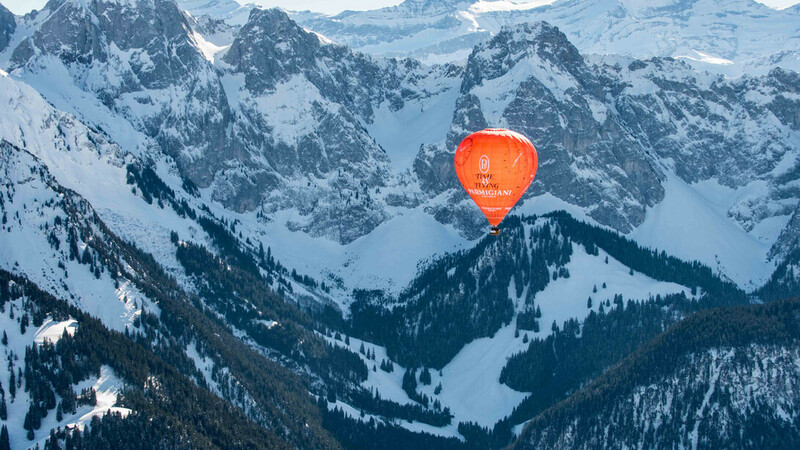 The snow capped Alpine peaks, the colourful and varied picture of the hot air balloons standing and gently moving side to side in the snow is totally unforgettable. 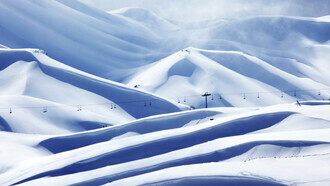 From Champagne bottles to the more traditional "inverted tear drop" shape,rockets, to giant multicolour smiling psychadelic flowers, happy Teddy bears, or any bright shapes, it seems that almost anything goes on the mountain slopes! 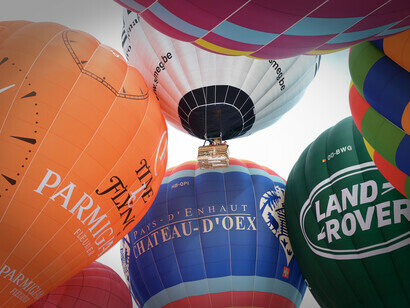 It was a real privilege to climb into the basket of a hot -air balloon of what is the oldest successful human-carrying flight technology which was demonstrated for the first time publicly on september 19th 1783 and was developed by The brothers Joseph-Ralf and Jacques-Étienne Montgolfier in Ardeche, France. 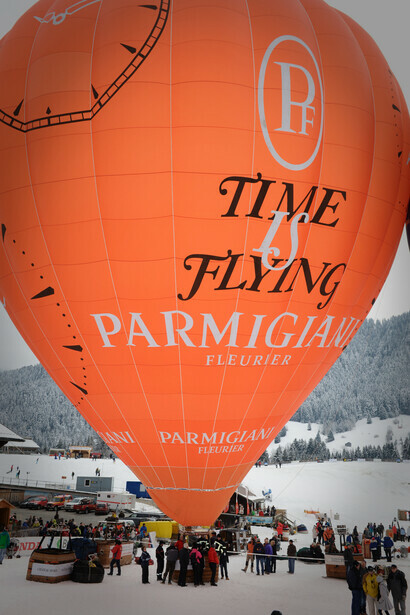 The adventure was about to start,after some excitable climb into our gondola or basket as it is more often called, mounted above us is the burner which injects a huge flame of propane into the so called envelope which fills up with air to it’s designed shape, in this instance it is the classic shape in a bright orange with the Parmigiani Fleurier Logo which have acted as the "Presenting Sponsor" since 2006. Parmigiani is also an exclusive and luxurious watch brand known worldwide for it's delicate, beautiful and unique design. It is an indescribable moment of pleasure when the Earth grows smaller and smaller and when a magnificent 360° panoramic view unfolds before your eyes. 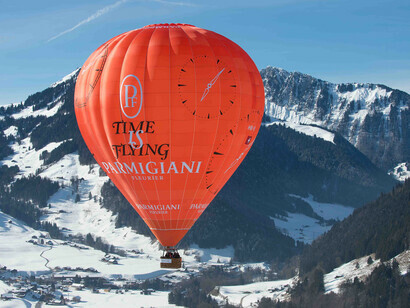 As we float up over the mountains, while enjoying the sight of the enchanting swiss Alps and watching the other balloons slowly passing by a sense of calm and complete serenity is upon us, the feeling of being at one with the universe, It's complete happiness in the sky. 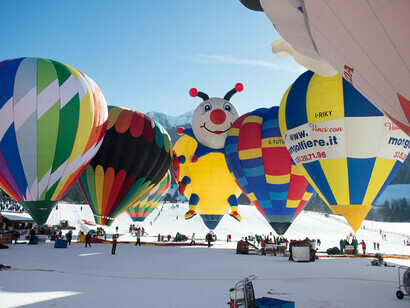 As the air is slowly released and we are prepared for what is after all a very dignified landing in the soft white snow in the middle of the mountains , we all volunteers to the packing of the deflated balloon and equipment, we marvel at the extraordinary simplicity of this flying machine that has carried us above the sky and left us with the most beautiful and magic memories. 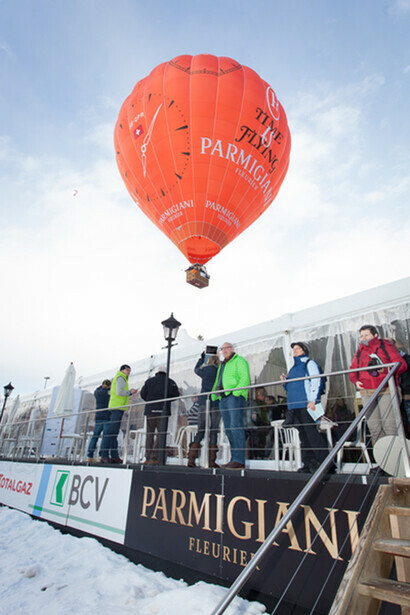 This is the thrill of ballooning!